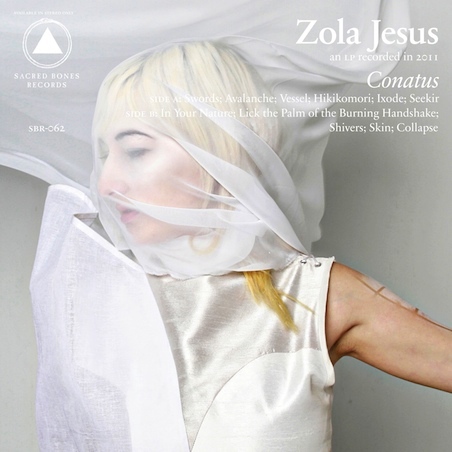 Zola Jesus has let us have a preview of her album a good 2 weeks before it is to be released on October the 4th via Sacred Bones. We've previously heard "Seekir" off of Conatus, and now you can give the entire album a listen in full below. Big beats, haunting strings and synth paired with echo filled vocals makes for a downbeat Thursday afternoon listen. Hat tip to the Guardian for the stream. UPDATE: Apparently The Guardian's feelings are hurt that they aren't super exclusive with this album stream. Please give The Guardian some page view$ and listen to the album over on their website.